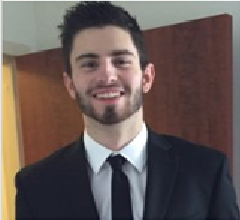 Nicholas is a senior studying biomechanics at UConn. He is most interested with external, wearable devices which interface with the human body – neuroprosthetics, medical braces, exoskeletons, and similar devices. One of his previous experiences was designing a grip assistive brace to aid those with rheumatoid arthritis. Currently, his senior design team are designing a low cost, easy to use device which will detect and warn of the onset of SIDS. He is also assisting in a study which aims to investigate the benefits of physical therapy on the corticomuscular coherence of adults with CP. Outside of his studies, he can often be found taking nature walks, playing board games with his friends, playing ukulele, and swing dancing! John Chomack is a senior in the Department of Biomedical Engineering at the University of Connecticut. 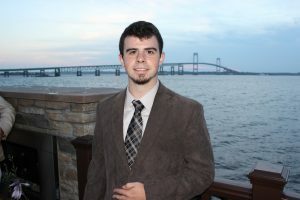 After he completes his undergraduate degree in May he will stay at the University of Connecticut to begin his Master Degree in Biomechanics. His Undergraduate degree comprises of a concentration in Biomechanics and a minor in Material Science Engineering. His research interest include the development of prosthetic devices and motion capture modeling. 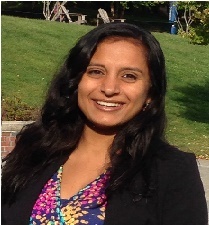 Ashwini Joshi is a junior studying biomedical engineering on a pre-medical track. Since last spring, she has conducted research in biomechanics. Outside of the STEM fields, she also enjoys studying French and is pursuing a minor in it. On campus, she is involved in Phi Sigma Rho, a social sorority for women in engineering, and in HuskyTHON, a yearlong fundraising effort for the Connecticut Children’s Medical Center. She hopes to make a change in her community through these organizations as well as through her research. Andrew McCormick is currently a junior at the University of Connecticut pursuing a B.S. in Biomedical Engineering, with an interest in biomechanics. He aspires to become a design engineer where he can apply his knowledge of force analysis and Solidworks sketching to optimize medical equipment designs. He has done various design projects including a bike rack rental system, a full leg brace, and an optimized magnetic resonance imaging machine design. Andrew is currently aiding a Senior Design team on all aspects of their sit-to-stand physical therapy device. But his main contributions to the team are Solidworks based.